Polish and Charms: Razzle Me Dazzle Me! Hello! I have a very interesting, yet pretty glitter to share with you today. This is China Glaze Razzle me Dazzle me over Sinful Colors Smokin'. 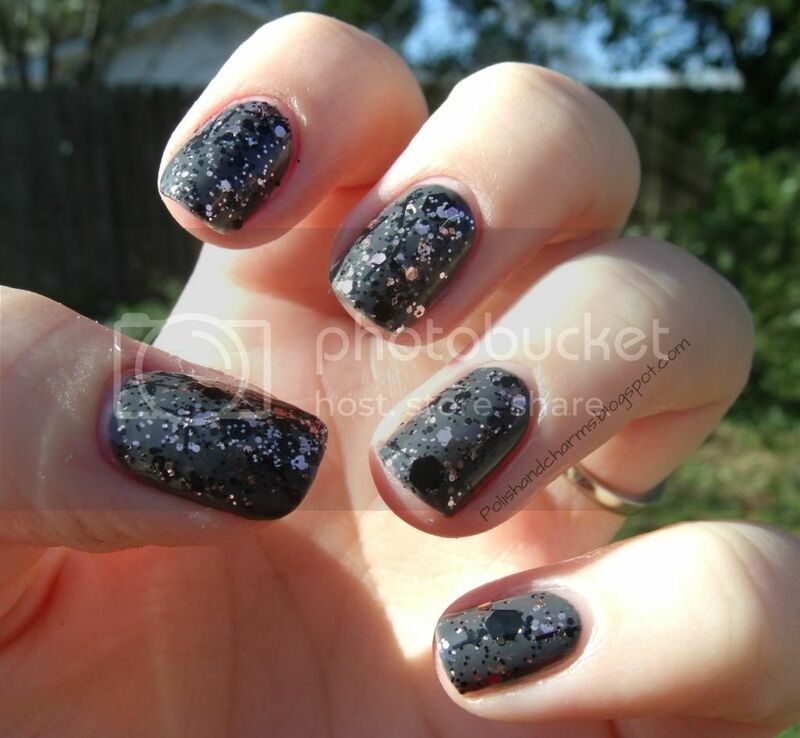 This is from the China Glaze Glitz n Pieces collection. This is the only one I picked up. I didn't realize it had bar glitter and bigger glitter in it. I really like how the pink pops off of the gray. 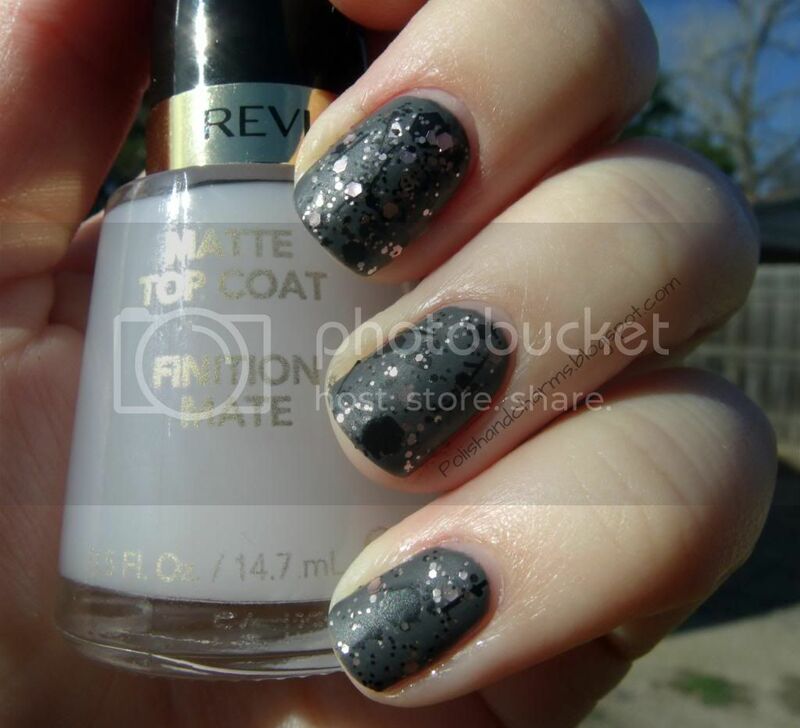 For fun I added a matte top coat. My pictures really don't do this combo justice. Enjoy! These are really pretty together!